Cargill India / Alvean Sugar Pvt. Ltd. and Food Security Foundation India, India Food Banking Network are collaborating to provide nutrition support to schools in Delhi NCR with the purpose of addressing hunger and malnutrition amongst children. A daily nutritious meal to children in schools for underprivileged children will provide important daily nutrition and also help improve school attendance and performance. 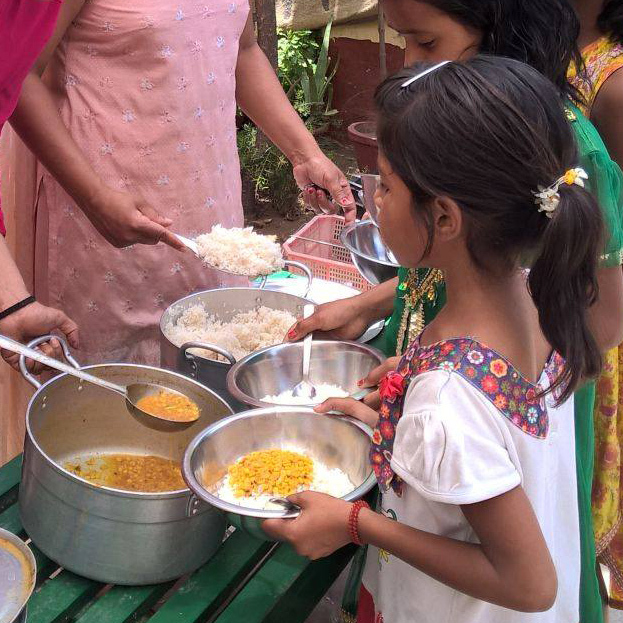 1000 children in three schools in Delhi NCR are being daily provided with a nutritious meal. The School Nutrition program is expected to lead to significant increase in school enrollment & attendance, improved nutrition, health and growth outcomes and positive behaviour outcomes and improved academic performance. The program will also measure its success through baseline and endline studies of various outcome indicators.